This is a discussion group for mooSocial's mooCooking Theme. Have ideas, suggestions, questions regarding this theme? Please post them here. Hi Everyone,New mooCooking package is now compatible with mooSocial 2.6.x. Please go and download latest update.Thanks,Kent. Mark if you&apos;re using 2.5.1 moosocial version, do not need to upgrade this cooking theme to 2.6.x. Stacy Ok, is there a more current update moo? 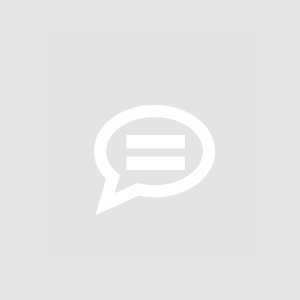 I am currently in moosocial 2.5.1 version. As shown in 3rd screenshot, the notification count is shown in the notification window but the notification summary is not shown in the notification window. The notification summary is only shown when clicking View All Notification as shown in 2nd screenshot. However, this works fine for default theme. I switched to Default theme and the notification summary is shown in notification window as expected shown in the 1st screenshot. Request you to look into this issue with Cooking Theme. Long Tran You needs to know some css to modify landing page . About text , please open file po and edit and clear global cache . Stacy Thank you Long. I certainly appreciate your reply. When I load a page, the category count in the page doesn&apos;t show up. I had to click on the category to refresh the count. Can you please look into this issue? Please refer the screenshots for more information. Santosh Sanapala @Long Tran: This was strange, considering the fact that it was not the case for all other moosocial themes.I don&apos;t understand as to why it was developed like this for this particular theme. One would expect to show the category count on load instead of clicking all the categories one by one to find out the count. However, thanks for the update. I will see if I can customize it to get the count on load. Cheers ! Long Tran Hi Santosh , it&apos;s will hide by css only so you can easily remove that code and make it show . Santosh Sanapala @Long Tran: Thank you. Will do that...! New mooCooking package is now compatible with mooSocial 2.5.0. Please go and download latest update. 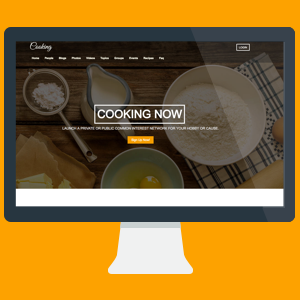 After installing this MooCooking template, "Create New Recipe" button is unavailable. Mark It seems that you have not logged-in yet? Please login and try again. Santosh Sanapala I was logged into my profile Mark. I have provided my ftp details to the support email sent to me. Please let me know if you need any details. Santosh Sanapala Mark, the issue has been fixed by support team. Thank you ! I want to include some blocks on the Landing page using Themes Manager. I don&apos;t think I can do it with this template. Can you please let me know if there is way to add blocks to this template? Mark which blocks do you want to add more? Santosh Sanapala Mark: Thanks for your response. I could achieve this by modifying the landing.ctp file in cooking theme folder. This is no more an issue for me.